Stevens Strategy reinvigorated a stalled strategic planning process and integrated the university’s vision with its earlier draft of a strategic plan. 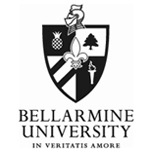 Stevens Strategy developed a financial planning model and a revenue center analysis to support the new strategic agenda, which is entitled Becoming the Premier Independent Catholic University of the South, and prepared Bellarmine University’s operational plan. Stevens Strategy was charged with taking a process already begun and facilitating the community’s planning efforts. They did a great job orchestrating this overwhelming project, which was much more difficult than starting at the beginning. They adapted the time-line for producing our new plan to meet our institution’s reality and developed operational and financial planning documents to support it. They were constant partners in the project. Their communication was excellent.